Elliott Heath ran 7:45.08 to shave a few tenths off his 3000m PB in Rieti Italy, placing sixth and defeating Olympic bronze medalist Thomas Longosiwa. German Fernandez, fresh off a massive 1500m breakthrough in Berlin, was a bit off the main pack, but still picked up a personal best by clocking 7:53.61 in ninth place. 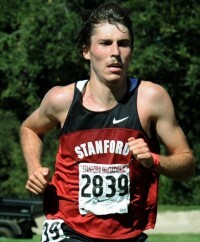 Heath was less than one-and-a-half seconds out of second place, and continues to show impressive consistency in his transition from collegiate running to the professional ranks. The three best performances of his life, according to the All-Athletics.com points table have all come during 2012 — and those do not even include his new PB’s at 1500m and the Mile, two of four personal bests he has run this summer. Among Americans, he now ranks fifth on the season, with teammates Evan Jager and Andrew Bumbalough sitting in first and fourth, respectively. In his first race as a pro, German Fernandez came home the victor. Round two, at the ISTAF meeting in Berlin, showed once again that he is one of America’s most exciting talents. Running against a class field full of Olympians, Fernandez came in with the second-slowest PB but proved that he belongs at this level of competition, slicing two-plus seconds off of his PB to place seventh. Crossing 800m around 1:55, German was still second-to-last yet on pace to break 3:35 — something only six Americans had done on the year. With 350m to go, the California native began passing runners falling off the pace and keeping contact with the entire lead pack of eleven as they accelerated down the backstretch. Swinging wide off the final turn, Fernandez came home in lane three, just one and a half seconds behind Nixon Chepseba — third fastest man in 2012 — who broke the proverbial tape. 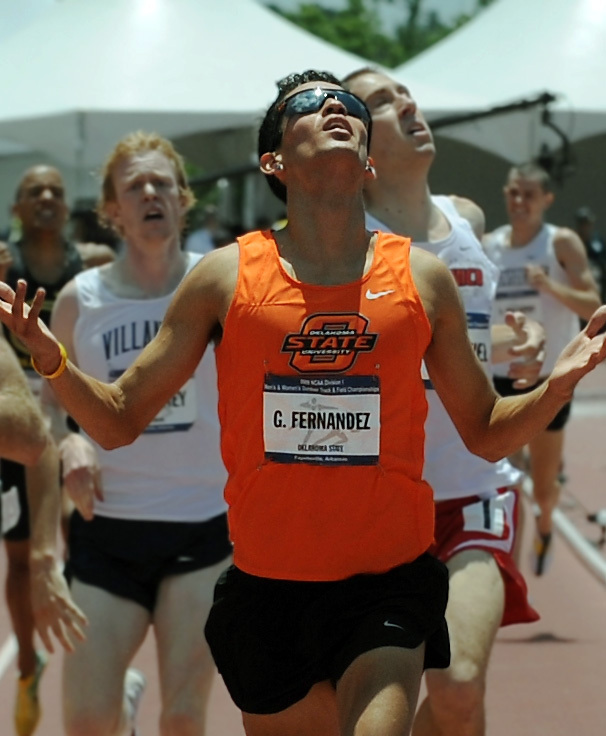 Fernandez’s final time of 3:34.60 far eclipsed his old lifetime best of 3:37.00 and made him the fourth-fastest American in 2012 — a year in which Americans finished 2nd and 4th in the Olympic Final. 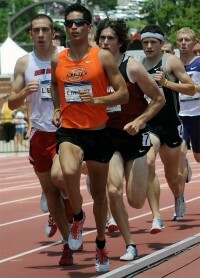 His new PB is nearly a second better than the Olympic “A” standard for 2012, proving that his talent is Olympic-level. Andrew Bumbalough was battling a head cold and ran 3:45.33, good for sixth place. Former NCAA Champions German Fernandez and Elliott Heath are joining KIMbia Athletics.